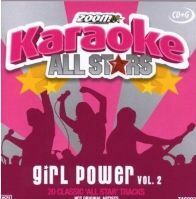 Karaoke CDG (CD with graphics). 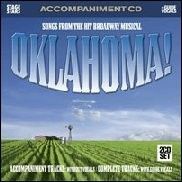 Can be played on any CD player for audio only. 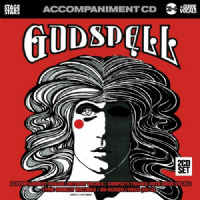 12 note perfect songs from' Godspell'. 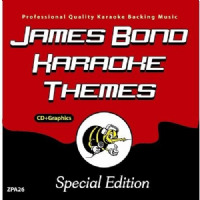 There are two versions of each song on this karaoke CD. The first version includes the lead vocals and is ideal for your pre-performance rehearsal. 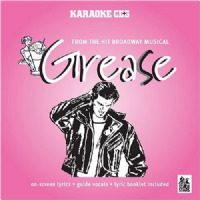 13 tracks from the Stage Musical "Grease", recorded with and without lead vocals. 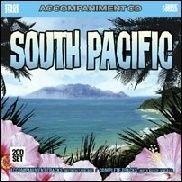 This CD also features on-screen graphics when used with a compatible CDG player. 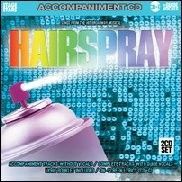 ighteen songs from the Broadway show in the original show key and show tempo. 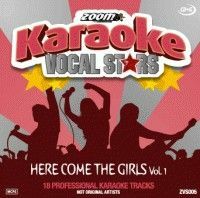 Karaoke CDG (CD with graphics). 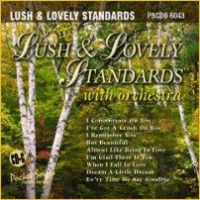 Wil play on any CD player for audio only. 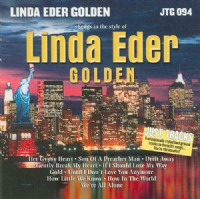 Karaoke CDG (CD with graphics). Will play on any CD player for audio only. 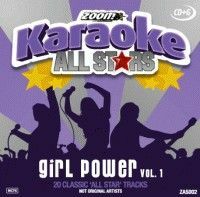 There is one version of each song on this karaoke CD. 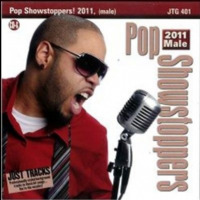 It is an accompaniment only track with the lead vocals removed making it ideal for your performance use. 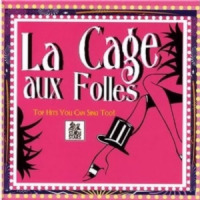 Recently completing a revival on Broadway, and well known from the movie version, The Birdcage, La Cage aux Folles features songs from the composer Jerry Herman. 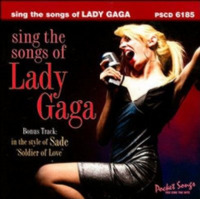 Sing the songs of Lady Gaga! 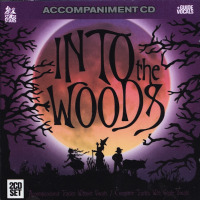 2-Disc Accompaniment CD This album plays in any CD player and features Guide Vocals & Accompaniment Tracks in the original show key and show tempo. 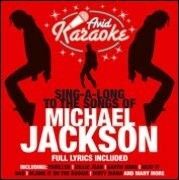 There are two versions of each song on this karaoke CD. The first version includes the lead vocals and is ideal for your pre-performance rehearsal. The second version is an accompaniment only. 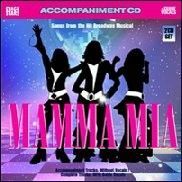 Mamma Mia features some of ABBA`s most familiar songs: "Dancing Queen" "Voulez Vous" "Take a Chance on Me" and "Knowing Me Knowing You". 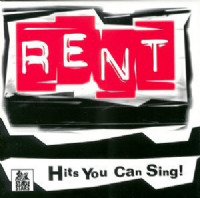 Nominated for five Tony Awards in 2002 the show has been a wonderful success. 14 note perfect hits from Man Of La Mancha. 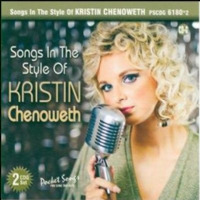 Hits you can sing too! 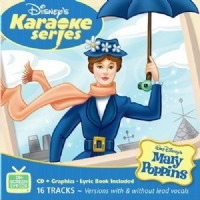 At last - a practically perfect way to sing along with your favorite songs from `Mary Poppins. 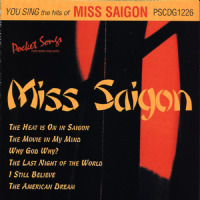 6 note perfect songs from Miss Saigon. 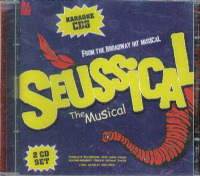 Each selection is included on this CD two times. 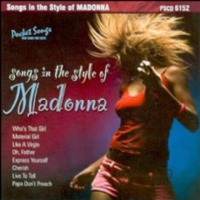 The first time includes removable guide vocals and the second time is a stereo background track. 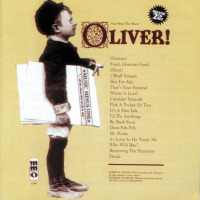 29 note perfect songs from Oliver! 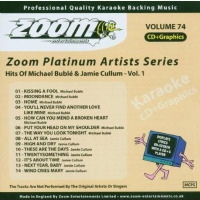 Each song is included on this karaoke collection two times. 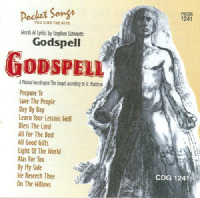 The first time includes removable guide vocals and the second time is a stereo background track. 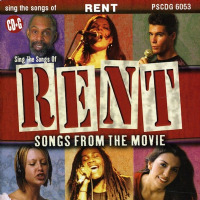 11 More perfect songs from Rent. Hits You Can Sing!. 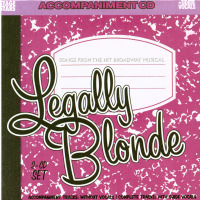 Each selection is included on this CD two times. 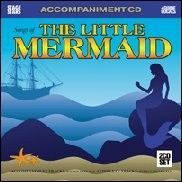 The first time contains removable guide vocals and the second time is a stereo background track.